It’s time to snuggle up with a blanket and a new book. This month’s selection is a collection of stories from courageous women who show us that your voice does have power. And one of those women of strength is here today to help us go between the pages. Press play for more on this unique novel. 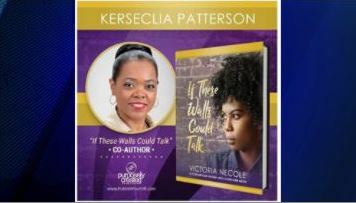 Get your copy of If These Walls Could Talk! When you do read it, shoot me an email and tell me what you thought. If you’ve ever been through something similar to these women’s stories, you will love reading it as much as I did. Evansville African American Museum March 15, 2019 6pm Please Contact Dr. Ashley Jordan for additional details at 812-423-5188.